The Dirt Road Band comprises a collection of seasoned Blues players performing authentic renditions of classic blues and roots music as well as self penned material. Fronting the ensemble is Dermot Byrne who has built up a steady following over the years bringing his brand of real down home blues and roots music to venues throughout Europe and the United States. Playing slide guitar and harmonica he is recognised as being one of Ireland’s finest interpreters of blues songs. His influences include Robert Johnson, Fred McDowell, Son House, and Muddy Waters as well as artists such as Bob Dylan and Johnny Cash. 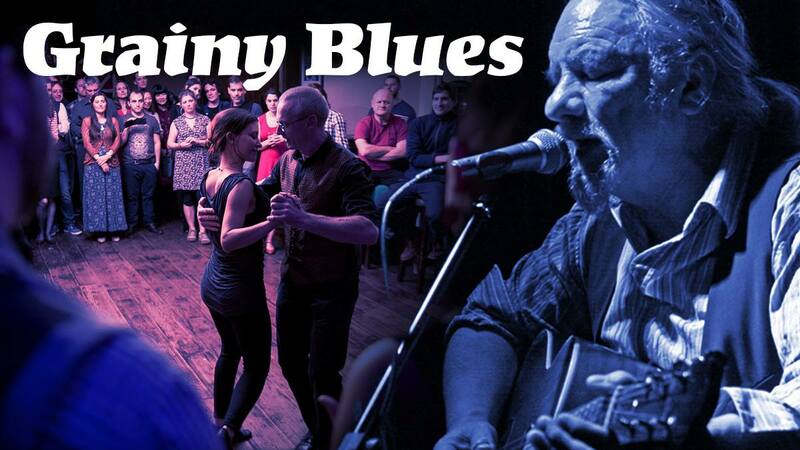 Dermot has hosted the long running Dublin Blues Nights on Saturday evenings at the Ha’penny Bridge Inn where he has been joined over the years by a host of great blues acts. Dermot has opened for or performed with legendary blues artists such as Eric Bibb, Long John Hunter, Steve James, Sam Mitchel, Byther Smyth and Catfish Keith. DIRT ROAD also comprises Ash Leonard on slide guitar who has been gigging at the Dublin Blues Nights, and an ace rhythm section comprising of Dublin based Will Comerford on upright bass, and the legendary Art Lorigan on drums. We are at "Mind the Step"